Manila (VNA) – Deputy Prime Minister and Foreign Minister Pham Binh Minh has highlighted the significance of ensuring peace and stability, including maritime security, as the shared interest of all states in and outside the region. Addressing the 24th ASEAN Regional Forum in Manila, the Philippines, on August 7, the Deputy PM underlined concerns about reinforcement, construction and militarisation activities at sea. He proposed the maintenance of the existing principles and stances on the East Sea that are stated in the documents of ASEAN and between the association its partners, especially those related to the settlement of disputes through peaceful methods without using or threatening to use forces, and the respect for international law, the 1982 UN Convention on the Law of the Sea, as well as diplomatic and legal processes. He called on partners and the international community to continue supporting efforts of ASEAN and China, speeding up the negotiation on the formation of a Code of Conduct in the East Sea in an effective and legally binding manner. He also suggested the reinforcement and expansion of dialogue and trust-building measures, forming a common perspective as well as capacity in implementing preventive diplomacy. At the forum, the ministers agreed on the need to promote the role of the ARF as the leading forum on dialogue and security cooperation as well as the building of trust and preventive diplomacy, contributing to ensuring peace, stability and stability in the Asia-Pacific region. 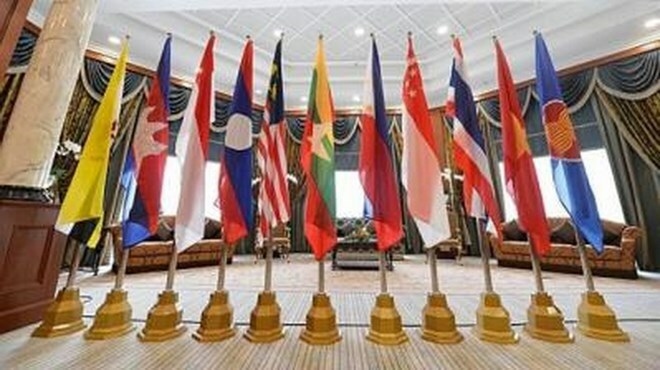 They concurred to continue implementing the Hanoi Plan of Action and the ARF Vision Statement and partnership in prioritised areas such as combating terrorism and trans-national crimes, as well as maritime security, natural disaster relief, weapon non-proliferation, disarmament and peacekeeping. They committed to continuing to promote measures to build trust, while considering and developing preventive diplomatic measures, and maintaining fundamental principles and orientations of the forum. They also approved a list of activities for the 2017-2018 mid-period, with Vietnam chairing two conference on cooperation among law enforcement agencies at sea and the building of capacity for peace-keeping forces. At the same time, the ministers agreed on the establishment of the ARF Inter-Sessional Meeting on Information and Communication Technologies (ISM-ICTs) to meet the increasing requirements of the region in the field. They also adopted two ARF Foreign Ministers’ declarations on illegal fishing and drug prevention.